1834 Classic Head Half Cent, C-1 ~ NGC MS62 BN ~ Great Color! Nice! 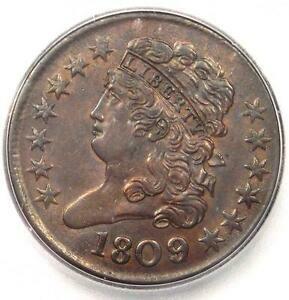 Details about 1809/6 Classic Head Half Cent 1/2C - Certified ICG MS62 (BU UNC) - $1,690 Value!